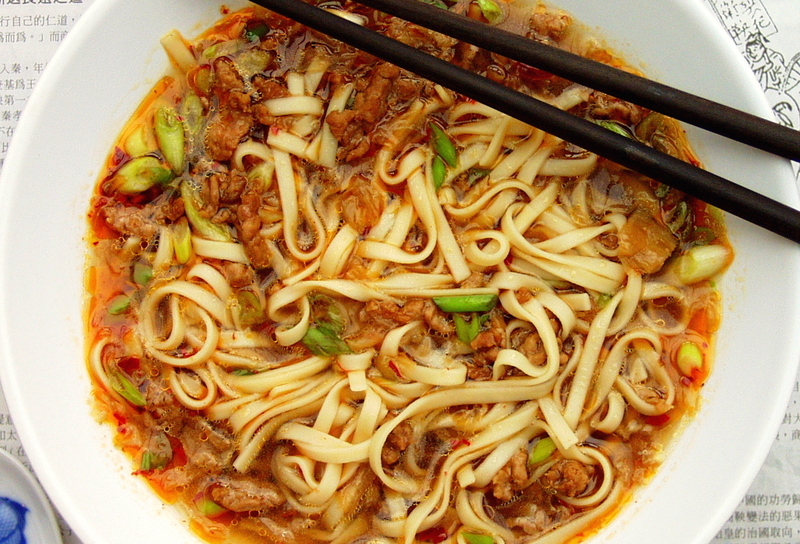 Fresh wheat noodles in a rich, aromatic, spicy beef broth. Served with big chunks of beef, carrot and baby bok choy. Taiwan. Fresh wheat noodles served in a slow-cooked rich, aromatic broth with bone-out spareribs, eggplant, carrot, bok choy, and Chinese spices. Fresh wheat noodles served in a rich broth, topped with seasoned ground pork, baby bok choy and a generous dash of our signature chili oil. Sichuan Province. Handmade pork wontons, fresh wheat noodles and a splash of our signature chili oil, served in a rich beef stock. Fresh wheat noodles topped with seasoned shredded chicken, carrots, cucumbers, bean sprouts, edamame, and Nappa cabbage then drizzled with our savory roasted sesame paste sauce. Shandong Province. Fresh wheat noodles served in our homemade rich duck bone broth, topped with shredded duck meat and a side of bok choy. Beijing. Fresh wheat noodles served in our homemade rich duck bone broth, topped with shredded duck meat, 6 plump pork wontons, and a side of bok choy. Beijing. Fresh wheat noodles smothered in a rich, savory paste made from the soybeans used to make soy sauce, simmered with pork over a low flame. Served with shredded carrots, cucumbers, bean sprouts, edamame, and Nappa cabbage. Beijing. Sweet potato glass noodles served in a savory and slightly sour spiced broth and topped with baby bok choy, seasoned ground pork, peanuts, fried soybeans, and a generous dash of our signature chili oil. Sichuan Province. Chilled rice noodles served with seasoned shredded chicken, carrots, cucumbers, bean sprouts and Nappa cabbage, and drizzled with a rich soy, Yunnan Province. Shredded chicken and baby bok choy, served over fresh wheat noodles in our rich chicken broth. Topped with a dash of leek oil. Fresh wheat noodles served in a rich vegetarian broth, topped with seasoned ground tofu, bok choy and a generous dash of our signature chili oil. Sichuan Province. Fresh wheat noodles topped with seasoned carrots, cucumbers, bean sprouts, and Nappa cabbage, then drizzled with our savory roasted sesame paste sauce. Shandong Province. Fresh wheat noodles smothered in a rich, savory paste made from the soybeans used to make soy sauce, simmered over a low flame and fortified with scrambled egg. Served with shredded carrots, cucumbers, bean sprouts and Nappa cabbage. Beijing. Sweet potato glass noodles served in a savory and slightly sour spiced broth and topped with baby bok choy, seasoned ground tofu, peanuts, fried soybeans, and a generous dash of our signature chili oil. Sichuan Province. Chilled rice noodles served with seasoned ground tofu, carrots, cucumbers, bean sprouts, edamame, and Nappa cabbage, and drizzled with a rich soy, Yunnan Province. Chilled noodles with shredded cucumbers, bean sprouts in a spicy, savory sauce. Sichuan Province. Minced pork belly stewed overnight with several spices in a luscious soy broth, served over rice with a stewed egg and baby bok choy. Taiwan. Slow-cooked spare ribs spices simmered in a rich, soy broth, served over rice with baby bok choy and shredded cucumber. Dongbei Province. Silken, GMO-free tofu stewed in a rich, spicy broth made with douban (fermented soy and chili) sauce. Served over rice with a hearty sprinkling of minced spring onions and flower pepper powder and a side of bok choy. Sichuan Province. Silken, GMO-free tofu and our seasoned ground pork stewed in a rich, spicy broth made with douban (fermented soy and chili) sauce. Served over rice with a hearty sprinkling of minced spring onions and flower pepper powder and a side of bok choy. Sichuan Province. Handmade dumplings filled with fresh pork and Napa cabbage, boiled and served with our special soy dipping sauce. Northern China. Handmade dumplings filled with garlicky Chinese leek and egg, boiled and served with a special soy and vinegar dipping sauce. Northern China. Dumplings filled with ground chicken and shitake mushrooms, boiled and served with a special soy dipping sauce. Northern China. Handmade dumplings filled with fresh pork and garlicky Chinese leek, boiled and served with our special soy dipping sauce. Northern China. 6 handmade pork wontons and bok choy served in a savory stock, with a generous splash of our signature chili oil. Sichuan Province. A fresh wheat tortilla smothered with plum paste, and filled with succulent shredded roast duck meat, cucumber and spring onion. Julienned strips of seaweed with a slightly sweet soy and sesame dressing. Shredded cucumber jalapeno, spring onion and cilantro in a savory sauce. Smashed cucumbers doused in a refreshing soy, rice vinegar and garlic dressing. Blanched bok choy tossed in our signature vinaigrette. 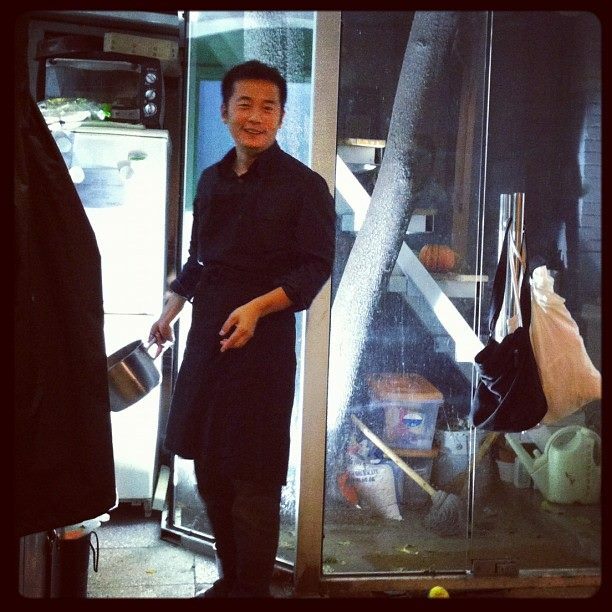 Founder and former owner Jeff (Tao) Gao was born in the Gao Family Village, located outside of Weifang City, Shandong Province, China, and was an award-winning restauranteur back in China. 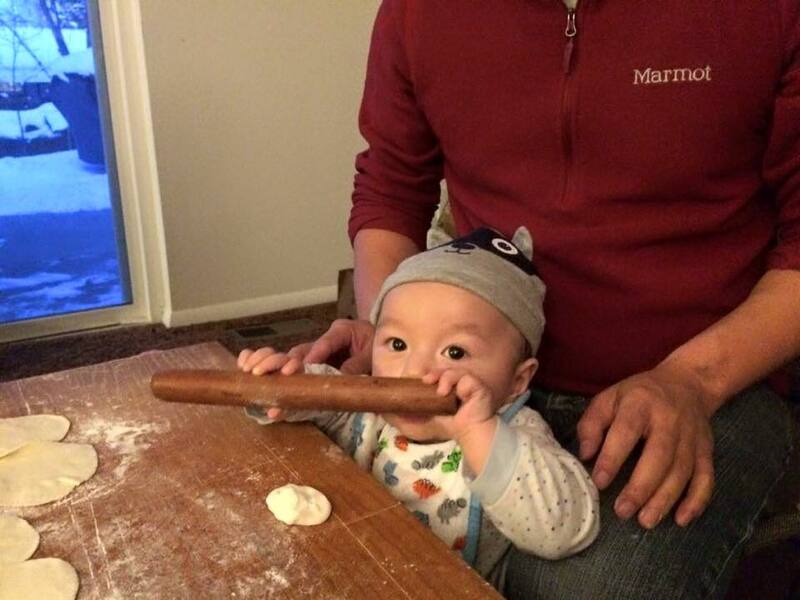 After moving to Boulder, Colorado, Jeff wanted to show this beautiful town what authentic homemade Chinese food tastes like. Flower Pepper was thus founded by Jeff and his wife Jennifer. 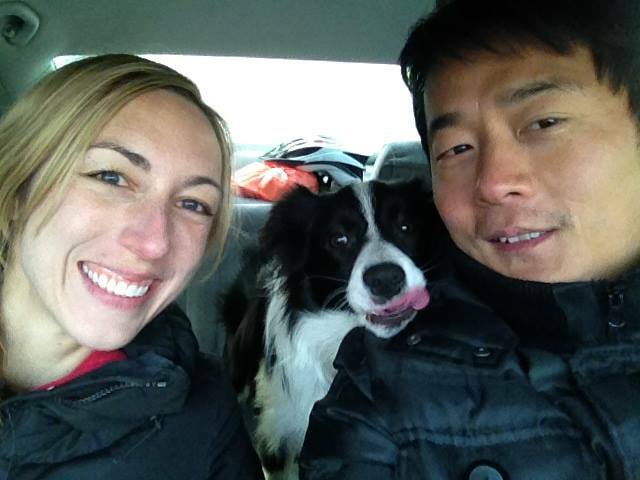 In 2016, Jeff decided to develop his other business and had to move away from Boulder, Nancy Wang took over as the new owner. Nancy lived in Beijing for most of her life and has tasted authentic Chinese food from all over the country. She carries on Jeff’s ideal to provide authentic Chinese home cooking, bringing together foods that are unique to places like Szechuan, Taiwan, and Beijing. We are located at 2655 Broadway, across the street from Breadworks. Want to order pickup? Call us at(720) 381-1594 or visit Eat24.com. Flower Pepper offers catering on a limited basis. If you’re interested, please email flowerpeppereats@gmail.com to make arrangements.